Thursday, November 15, 2018 7:00 p.m.
Friday, November 16, 2018 7:00 p.m. DETAILS: Kinder High School for Performing and Visual Arts (HSPVA) Dance Department presents the HSPVA Concert Dancers in the FALL DANCE CONCERT Thursday, November 15, 7:00 p.m. and Friday, November 16th, 7:00 p.m. The concert, featuring contemporary ballet and modern dance choreography by the Kinder HSPVA dance faculty will include guest choreographed works by Sidra Bell, artistic director of Sidra Bell Dance New York, Susan Shields, Dance Director – George Mason University, Charles O. Anderson, Head of the University of Texas Dance program, Laurence Blake, former Professor from CAL Arts and HSPVA Dance graduate, Zach Tang. The concert will also feature Aaron Copland’s – Appalachian Spring Suite and choreography by Martha Graham accompanied by the Kinder HSPVA Chamber Orchestra. Kinder High School for Performing and Visual Arts (HSPVA) Dance Department presents the HSPVA Concert Dancers in the FALL DANCE CONCERT Thursday, November 15, 7:00 p.m. and Friday, November 16th, 7:00 p.m. The concert, featuring contemporary ballet and modern dance choreography by the Kinder HSPVA dance faculty and will also feature guest choreographed works by Sidra Bell, artistic director of Sidra Bell Dance New York, Susan Shields, Dance Director – George Mason University, Charles O. Anderson, Head of the University of Texas Dance program, Laurence Blake, former Professor from CAL Arts and HSPVA Dance graduate, Zach Tang. 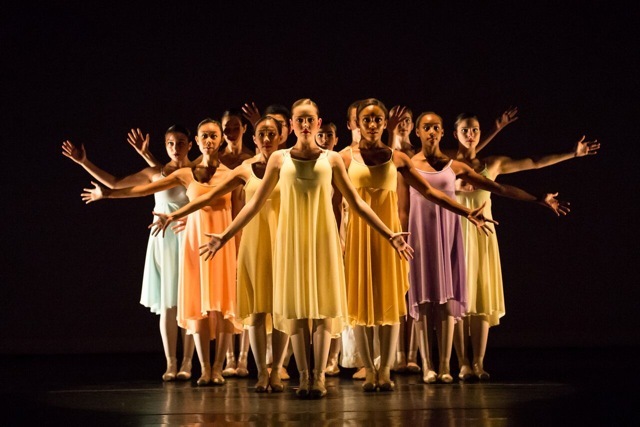 The concert will also feature the Copland/Graham Project; a collaboration with the HSPVA Concert Dancers and the HSPVA Chamber Orchestra playing Aaron Copland’s – Appalachian Spring Suite and Martha Graham’s choreography set by Blakeley White-McGuire former soloist with the Martha Graham Dance Company.